The death of children left locked inside cars is almost unbearably tragic. 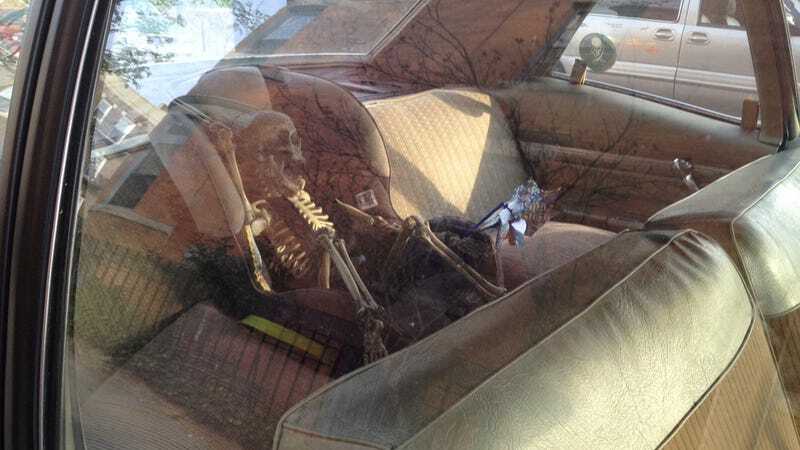 Leave a skeleton in a child seat in the back of your car so your neighborhood's hipster parents never forget about their kids' safety. According to the Reddit user who posted this picture, the setup is in a matte black old car that parks like this every day in Brooklyn. Where news reports and parenting meetings fail, skeletons and matte black metal rods are sure to succeed.